Palestinian prisoners have, without question, demonstrated their tenacity and ability to devise ways to resist the Israeli occupier throughout the years. 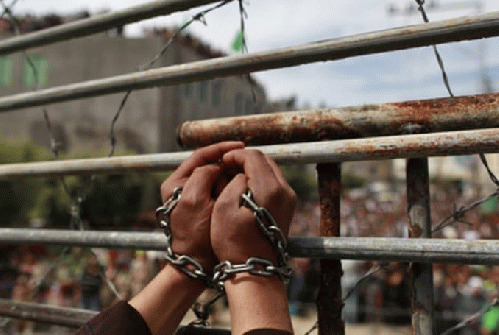 The current violence targeting Palestinian prisoners in Israeli jails dates back to January 2. It was then that Israel's Public Security Minister, Gilad Erdan declared that the "party is over." "Every so often, infuriating pictures appear of cooking in the terrorist wings. 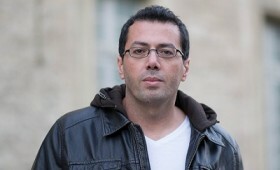 This party is coming to an end," Erdan was quoted in the Jerusalem Post. Then, the so-called Erdan's Committee recommended various measures aimed at ending the alleged "party," which included placing limits on prisoners' use of water, banning food preparations in cells, and installing jamming devices to block the alleged use of smuggled cell phones. Erdan followed his decision with a promise of the "use of all means in (Israel's) disposal" to control any prisoners' protests in response to the new restrictions. The Israel Prison Service (IPS) "will continue to act with full force" against prison "riots," he said, as reported by the Times of Israel. Metzada is IPS' "hostage rescue special operation" force and is known for its very violent tactics against prisoners. Its attack on Naqab resulted in the wounding of many prisoners, leaving two in critical condition. Palestinian prisoners fought back, reportedly stabbing two prison-guards with sharp objects. Nuttyyahoo has already stated, in his election platform, his intention to finish seizing and annexing the West Bank. Obviously, enough Israeli people supported this agenda, as he got enough votes from them. This either disproves the theory that Israel's people don't approve of the Zionists' goals, or proves that the voting process is completely corrupt. I really wish I knew which one of those is correct.